of each of its members while maximizing members physical and mental ability to defend themselves. KMX provides an authentic source for Krav Maga self-defense training as well as a variety of fitness programs to support your goals! Our instructors have extensive knowledge and experience in teaching Krav Maga and in fitness training. Gaby is the founder and head instructor at Krav Maga Xtreme. 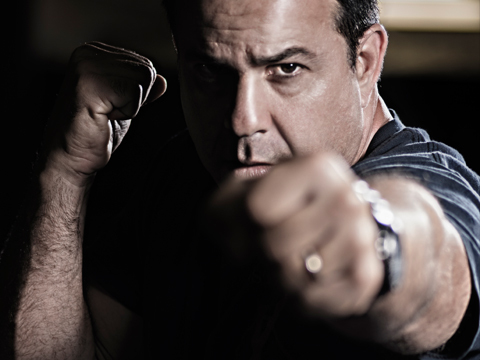 He has been a Krav Maga instructor for many years, training extensively under Krav Maga master Eyal Yanilov. 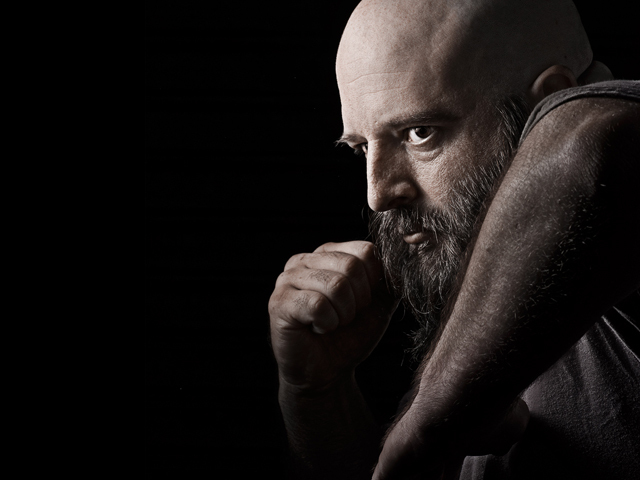 Gaby's Krav Maga philosophy has evolved from the techniques developed by founder Imi Lichtenfeld. Mark has been practicing Krav Maga since 2009, and greatly appreciates the simplicity, effectiveness, and the mentality of the system: to ultimately increase the chances of survival. In addition to Krav, he has studied various martial arts and fighting styles, including: Eskrima, Kenpo Karate, Muai Thai, Jiu Jutsu, and Boxing. Mark continues to study the art and science of combat through training as well as teaching at KMX. 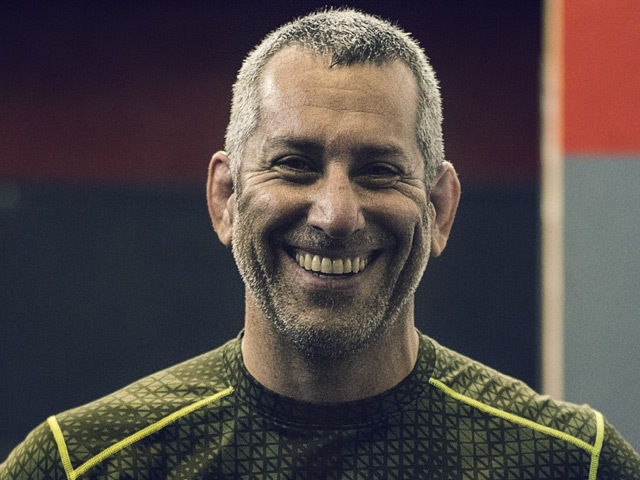 James Maiz, creator of the First Responder’s Best Hold, has been teaching grappling in the bay area for several years. He has coached and cornered mixed martial artists to win in the cage, and students to gold and silver medals in grappling tournaments. He offers a hybrid grappling style based in Brazilian Jiu Jitsu, Judo, Wrestling, Sambo, and other styles, and has taught Marines, police, prison guards, paramedics, EMTs, et al. Marie was a preschool teacher when she first discovered our Krav Maga classes in Marin at age 49. Finding she couldn’t get enough, she joined our Berkeley community in April 2013. Marie loves the art and atmosphere so much that she decided to incorporate her teaching credentials: after training daily to advance rapidly, she joined the staff as one of our youth instructors in November 2013. Marie is also a graduate of the KMX Instructor course. 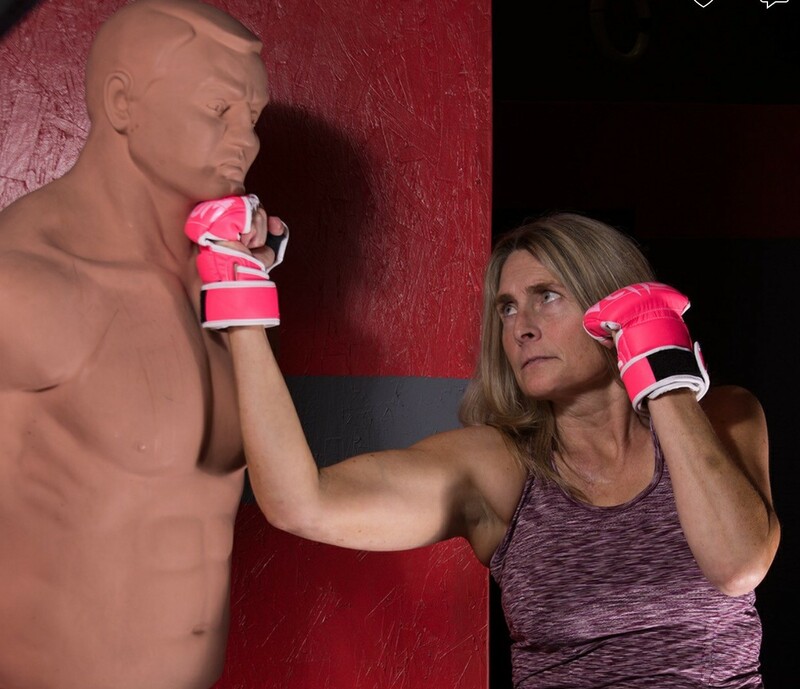 Marie says that taking up Krav Maga changed her life; so much so that she returned to school to pursue sports nutrition and teaching strategies in fitness. She has always been active and loves running, biking, kettlebells, and cardio classes. Marie lives in Marin with her three sons and has her own small photography business. Private lessons available: Please contact Marie directly at marieshapiro@hotmail.com. Jon is a KMX certified Instructor who has been practicing Krav Maga for over six years. Not only has Krav training been a big part of Jon’s life but it has actually come in handy in two situations where he has had to use it and in one case it actually saved his life. Training Krav Maga has meant a great deal to Jon in both spiritual and fitness terms. Spiritually it is important in terms of building confidence, teamwork, community, and awareness, while physically it is important in terms of being a fantastic work-out which builds strength and endurance. Jon has lived in the Bay Area for almost Forty years (with one year lived in Israel). In that time he has been active in various sports (played Rugby both in college and club side) and Volleyball, where he was awarded Contra Costa Times Coach of the Year for Volleyball in 2005. During that season he took his team to the California State Championship and was founder of Xceleration Volleyball Club. 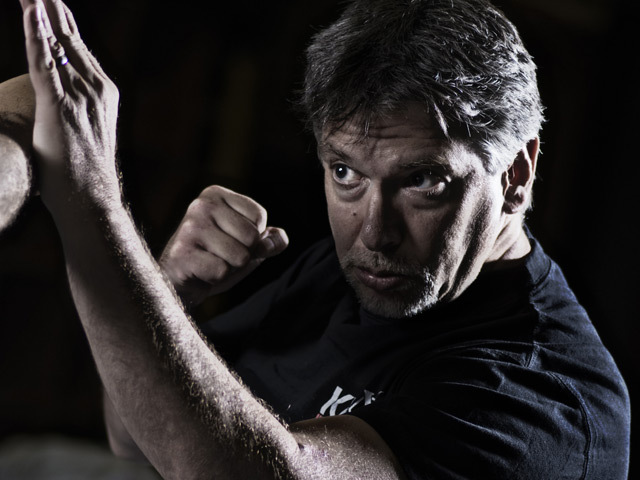 He brings this kind of teaching acumen to his Krav Maga classes in order to make them both fun as well as interesting, and of course, giving a means to practical self – defense. Jeff is a professional musician who has also had a lifelong love of the Martial arts. While attending Berkeley College of music in Boston Jeff studied Chinese Gung fu . After moving to the Bay Area he studied Kuk Sool Won for 5 years, achieving his black belt. While maintaining a busy performing and teaching schedule Jeff discovered Krav Maga and finally found the perfect style and a fantastic instructor in Gaby Gliksman. Jeff has been studying Krav at KMXtreme for almost 6 years and completed the ICX Krav Maga instructor training program this February, 2016. Cary was born and raised in Berkeley. 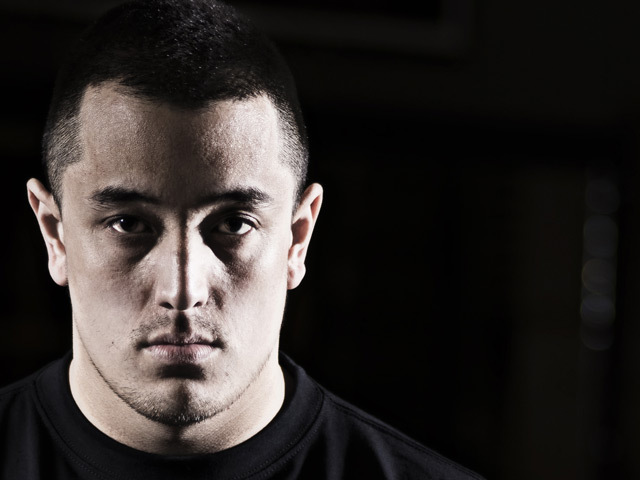 He started Martial arts at the age of 5 and has continued to grow within the self-defense/martial arts community. Cary is currently a co-owner of 4 Kings Security and Consulting Services Inc. He is also an EMT, making safety and training a top priority! Hebrew for Contact Combat, Krav Maga is a tactical self defense system created in 1948 by IDF Chief Physical Fitness Instructor IMI LICHTENFELD. Krav Maga was developed with intent for the practitioner to overcome all types of violence intuitively, naturally, and practically, especially under pressing conditions. The practice is considered eclectic as the techniques derive from the fighting styles of: boxing, Muay Thai, jiu jitsu, wrestling, and grappling. Krav Maga instruction is comprised of a variety of drills and training methods catering to two different sectors: Civilians and Law Enforcement/Military. Krav Maga is absolutely, completely accessible to different fitness, age, gender, and size. Krav Maga ultimately prepares the trainee to function in all circumstances and scenarios, in all combat and fighting environments according to their needs, risks, and occupation. Krav Maga enables technical, tactical, physical, and mental growth and improvement.